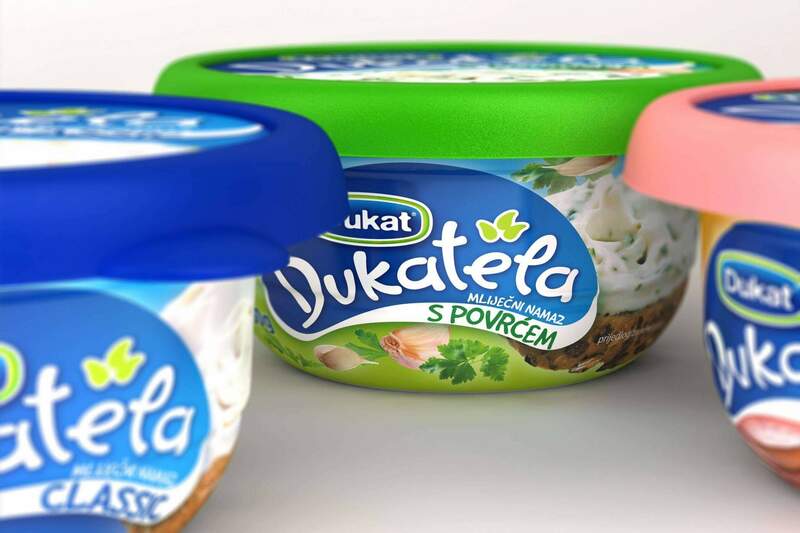 Redesigning the entire line of Dukatela dairy spreads, and add packagings of new flavours to the line (red paprika and garlic). It was important to retain the recognisability of the line and not to depart too much from it, yet to freshen up noticeably the previous design. 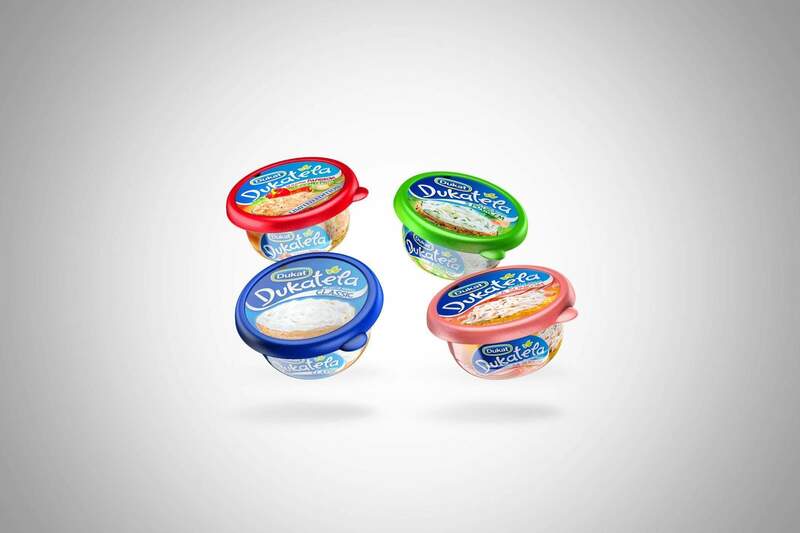 Dukatela received a new, modern and bright look, with the colours matching the flavours. 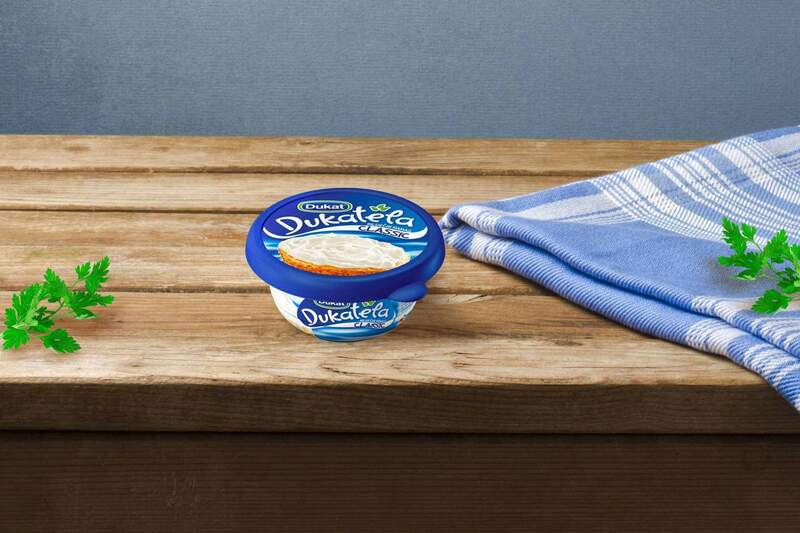 The packaging prominently features the product name and an image of bread slathered with Dukatela, which reflect the richness of its taste, the pleasure of eating it and the creamy texture of the product itself. 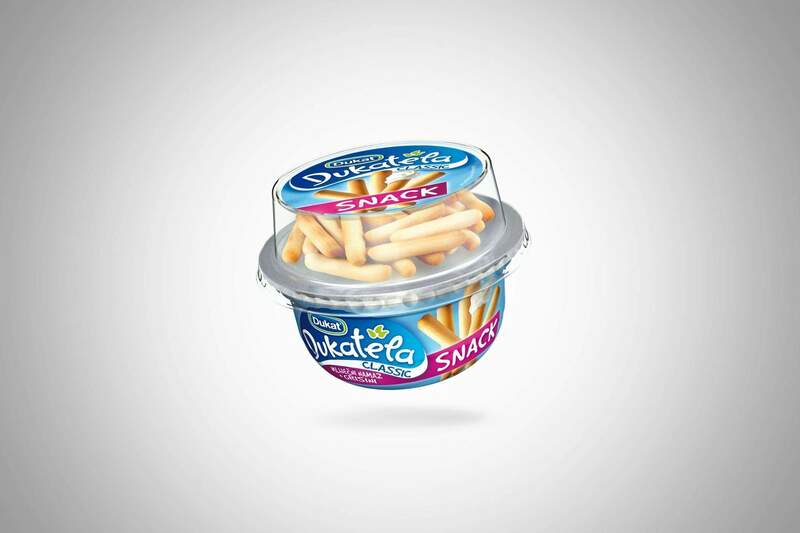 The well-known Dukatela lid was kept.